Kingston University’s Karting Society (KUKS) raced through the first round of the British Universities Karting Championship (BUKC) after competing in sprint and endurance races. The teams drove around the circuit at Buckmore Park in Kent, the A Team came 37th and the B Team came 30th out of 55 teams in the overall results. In the sprint races each driver in the team races independently for 25 minutes and the teams finishing score is made up of the best 3 results. The B Team came 24th and the A Team came 40th. Mr Righton said: “Overall it was a mixed day, good results from the B Team but the A Team are really disappointed, including myself. It is an eight-round championship and each team is allowed to drop their two lowest scores, Mr Righton said that the A team’s scores in this round may not contribute to their overall score. The endurance races are when the team of four drivers split into teams of two and compete in a one-hour race. The B Team came 29th and The A Team came 33rd. “In the endurances there was another great performance by Max in the B team as himself and George got a 14th in their race despite George spinning. “Mike and James were running well until James spun with minutes to go which pushed them down the order,” said Mr Righton. ‘Spinning’ is when the kart rotates and stalls. There is no clutch in the kart which makes them quite easy to stall and adds valuable seconds to their time. Team A consists of, Andrew Hunt, Liam O’Flynn, Adrian Jarych and Sam Righton. Team B consists of James Mannion, Mike Nutley (president of the society), Max Dawson and George Forakis. 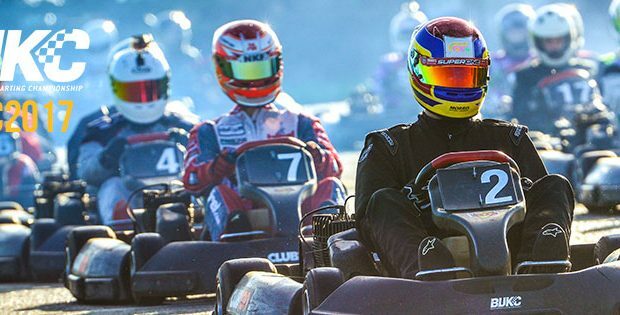 The BUKC is an adrenaline-fueled karting competition for students currently enrolled in a UK university. The next round is on February 15 at Rye House Kart Raceway in Hertfordshire.